Carepoint - a new way tosuccess.advance.progress. Carepoint PDR tools proved to be effective at any type of paintless dent removal work. In our web store you will find wide range of PDR tools and equipment. Carepoint® is an international paintless dent removal company that was established 20 years ago. Currently Carepoint® is represented in Germany, Russia, Ukraine, United States, Great Britain, Japan, Australia, Turkey, Georgia, Poland, Latvia and is planning to open centers in other countries. Our historical roots go back to the 80s. At that time one of Carepoint® founders was working at Volkswagen factory in Wolfsburg (Germany). 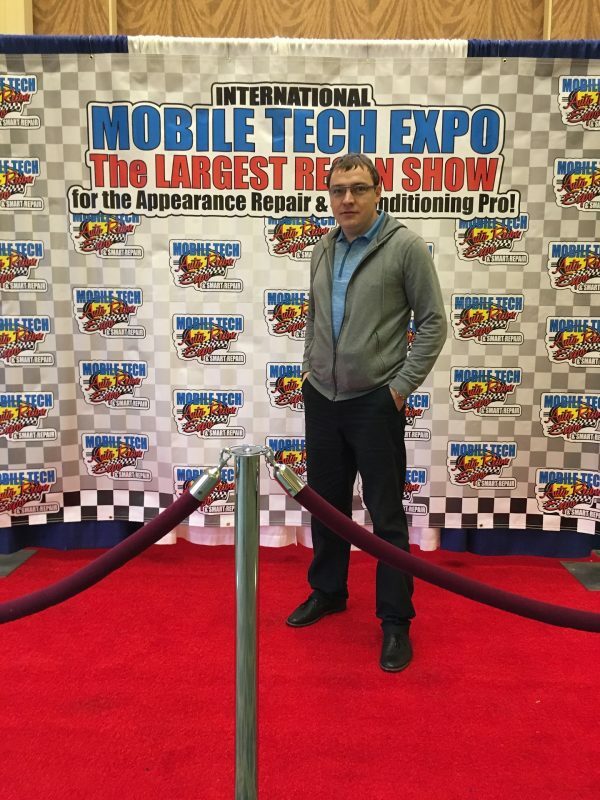 He thoroughly studied paintless dent removal technology trying to find ways to improve efficiency and reduce cost of vehicle repair. This technology was used at the factory since 1960s. Afterwards in 1999 Carepoint® was founded. Every car defect that bothered automobile owners was offered to be removed instantly with PDR technology. Repairs took only minutes or hours instead of days, saving time and money. It was the first company in Wolfsburg providing such services. 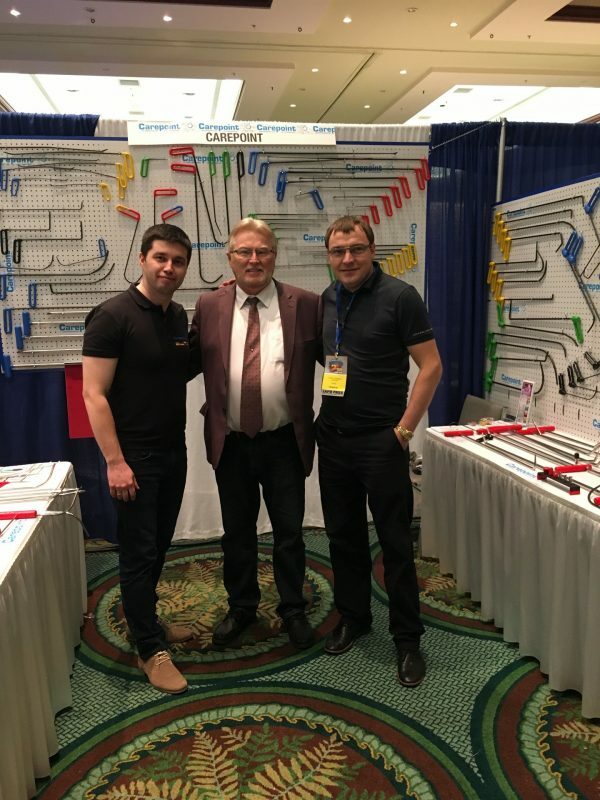 In a while company became well-known and gained experience in PDR/DOL technology, which led to the opening of the training school and beginning of its own tool manufacturing. In 2006 Carepoint® started its development in CIS countries and far abroad. Almost every car defect that bothered automobile owners was offered to be removed instantly with PDR technology. Repairs took only minutes or hours instead of days, saving time and money. It was the first company in Wolfsburg providing such services. In a while company became well-known and gained experience in PDR/DOL technology, which led to the opening of the training school and beginning of its own tool manufacturing. 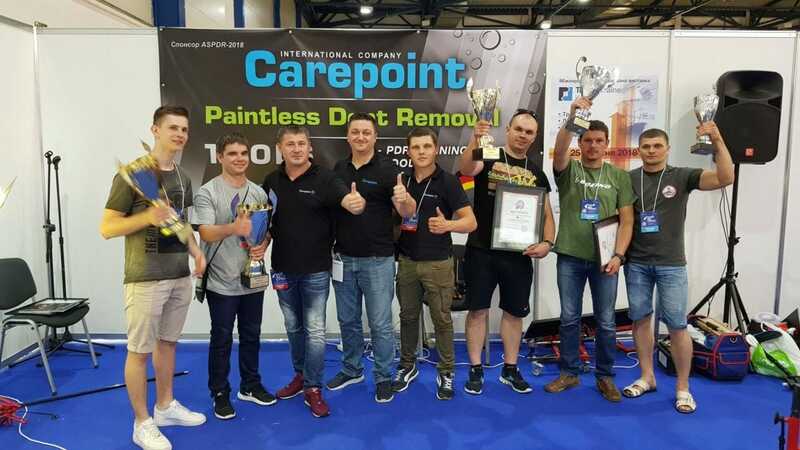 Carepoint® today is not only car service and paintless dent removal company, but also tools of high quality manufactured in Germany and internationally certified professional training. Large car manufacturers such as Volkswagen, Mercedes, Porsche, BMW trust our expertise. We also partner with different insurance companies and authorized dealers of top vehicle manufacturers. Over last 20 years of successful work we removed huge amount of different dents and dings. Today we have more than 50 technicians on staff, whose experience and feedback give us opportunity to constantly improve our tools and make them highly effective. While developing our equipment we seek to use leading technologies, therefore we participate in international exhibitions and forums regularly.